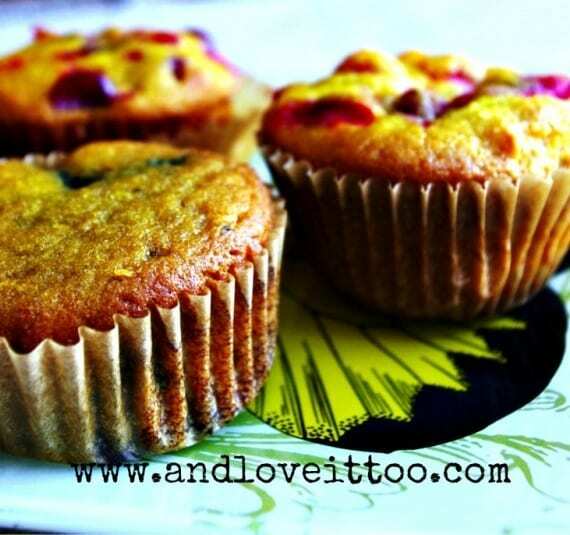 Paleo Citrus Fruit Muffins from And Love It, Too! 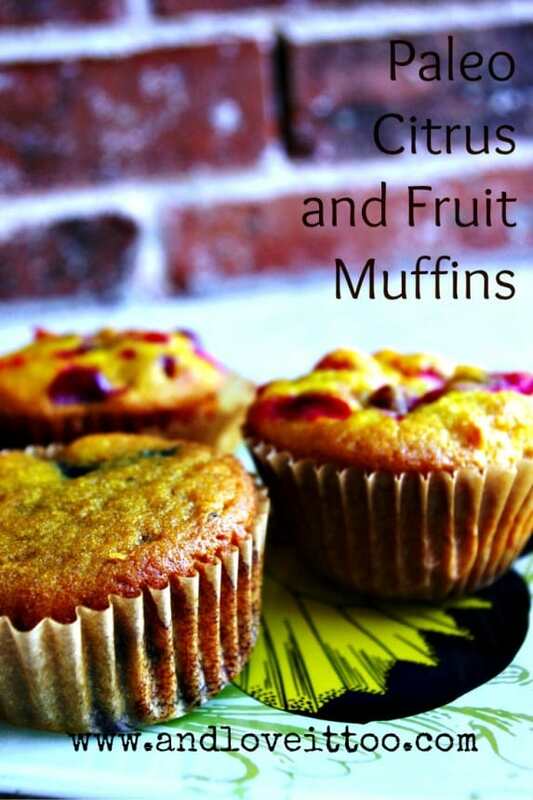 Our muffin recipe today is Paleo Citrus and Fruit Muffins. These muffins are brought to us by Sunny of And Love It, Too! They look so vibrant and so appealing! Sunny says these grain-free, nut-free, “delightfully tangy” muffins “go together quickly and make for an easy addition to any breakfast or brunch spread.” She adds that you can “mix and match flavors to find your favorites!” I love a muffin recipe that gives you that kind of versatility and personal “tweaking” freedom. A few of my other favorites from Sunny that work really well for Spring and Easter are Vegan Carrot Cake Coconut Macaroons with Maple Cream Glaze, Chocolate Pecan “Toll House” Pie, and Coconut Flour Country Biscuits. Before you head over to Sunny’s for her Paleo Citrus and Fruit Muffins, take a minute to read on for today’s daily prize and make sure you’re entered in the drawing for the overall/grand prize giveaway. There are so many prizes that you’re bound to love and don’t forget that the grand prize is a Blendtec Designer 625 with a Wildside+ Jar and a Twister Jar. Thanks once again to the Blendtec folks for sponsoring this baby! You even get to choose the color if you win. Remember that every single comment on every blog post during this event is an entry for the overall/grand prize giveaway and I keep adding surprise additional items, so you won’t want to miss a post on gfe! Jennifer Robins of the blog Predominantly Paleo puts her heart and soul into her recipes. She is known for re-creating kitchen staple recipes and delectable family favorites that work for those who eat paleo (basically grain free, dairy free, and refined sugar free) and she’s always up for a challenge! Of course, the paleo diet also works for those who eat “just gluten free” as well. 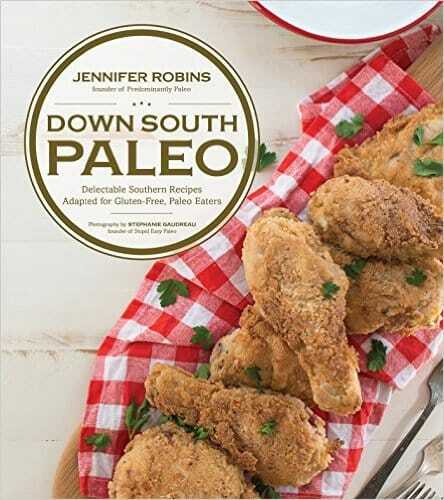 That’s good because almost all of you are going to want to eat the recipes in Down South Paleo. We’re talking Southern Fried Chicken, Chicken and Dumplings, Chicken Fried Steak, Lump Crab Hushpuppies, Sweet Potato Casserole, Biscuits and Gravy, Fried Okra, Chocolate Chip Georgia Pecan Pie, Bourbon Street Bread Pudding, and so much more. It’s no surprise to me that this cookbook garners 5 stars on Amazon. p.s. 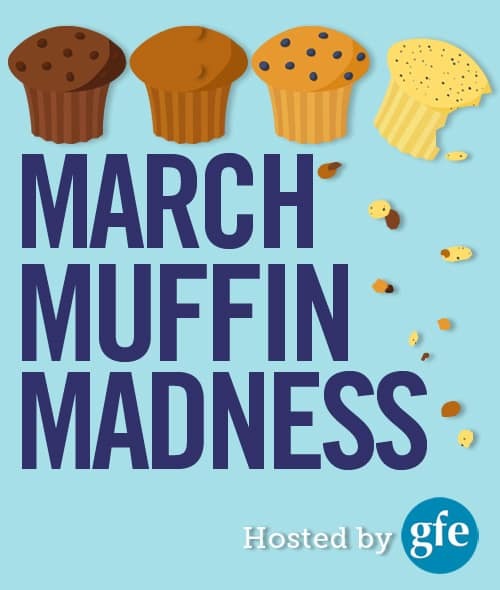 I’ll be sharing Jennifer’s newest cookbook, co-authored with Simone Miller, The New Yiddish Kitchen: Gluten-Free and Paleo Kosher Recipes for the Holidays and Every Day, later in March Muffin Madness. I love that these muffins use only coconut flour and no other nut flour, and you know I love paleo muffins. I’d love to win the paleo cookbook, too! Muffins! I would eat them every day for breakfast if I could!! This recipe will go on my list of muffins to make. Actually, my daughter has recently learned to bake muffins so I’m sure she’d love to make these! Must try these – I love almost anything lemon! How do you know how much liquid to use with the coconut flour? I’ve heard that you need a lot of liquid when working with coconut flour. I have wanted to peruse this cookbook since it came out!! Yes! Oh gosh this recipe sounds great. I would have to make an adjustment though as I can’t have eggs. The muffins sound yummy. Can’t ever get enough recipes so the cookbook would be great. I love Jennifer’s recipes and to win a copy of her book would be great too! Thanks for all the muffin recipes. I love muffins for breakfast.